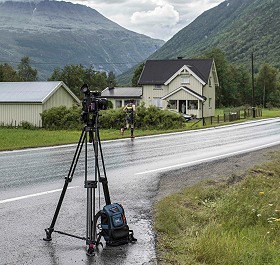 LiveU video transmission solutions used for extreme sports events. Hackensack, N.J., January 2018: Innovative Swedish storytellers Spocks Family, a company based in Stockholm, has recently expanded its use of LiveU technology to bring three well-known sports events to life for viewers: Isklar Norseman Xtreme Triathlon; The Ötillö Swimrun World Championship; and the Swedish Sportfish Masters pike fishing championship. The LiveU technology was supplied by its regional partner Mediability.